To those visitors coming to Buenos Aires for a sporting activity (hunting or fishing) or any other reason, we are offering a specially designed program to get the true impression of this cosmopolitan and mutifaceted city. To those visitors coming to Buenos Aires for a sporting activity (hunting or fishing) or any other reason, we are offering a specially designed program to get the true impression of this cosmopolitan and mutifaceted city. 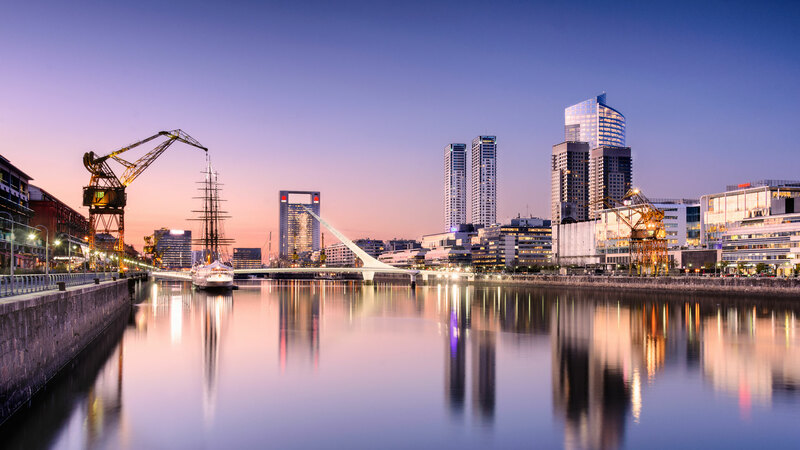 Different Buenos Aires shows the fine architecture of some areas which remind us of Paris, the picturesque La Boca or San Telmo and all the other details that help the visitor appreciate the main elements of the Argentine culture. The program continues with a visit to the famous Plaza de Mayo, Puerto Madero (the most modern neighbourhood of the city), the aristocratic Recoleta and Palermo, the ancient tunnels from colonial times (16th century), the well-known San Isidro and its beautiful houses in the suburbs and a trip to an island in Tigre, in the heart of River Plate delta. To complete your experience, you will be able to learn to dance tango in a private lesson, watch a tango show and have dinner in one of the most exclusive restaurants in Buenos Aires. Reception at the airport in Buenos Aires and transport by private vehicle to Hilton Hotel. Accommodation at the hotel during the stay, including breakfast and taxes. 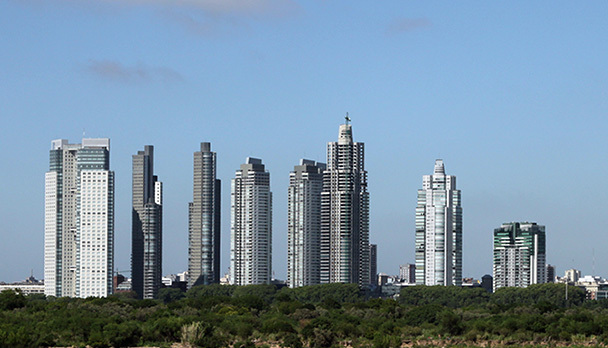 Afternoon at leisure to rest and/or walk the most modern neighbourhood in Buenos Aires: Puerto Madero. Dinner (not included). Breakfast. Private city tour with a bilingual guide to the old tunnels of Buenos Aires and around the city. Duration: 5 hours. In the evening, dinner at one of the best steak restaurants in Buenos Aires, El Mirasol del Puerto in Puerto Madero. Breakfast. Visit to San Isidro in a private tour. Visit to El Tigre in Rio de la Plata delta and transport to a nearby island for lunch. Return to Buenos Aires. In the evening, 2-hour private tango lesson, including transport from and to the hotel. Dinner (not included). Breakfast. 2-hour walk with a bilingual guide around Retiro and Recoleta, two of the most exclusive neighbourhoods, where the most traditional buildings in Buenos Aires are situated. In the evening, dinner and tango show in La Esquina de Carlos Gardel, including transport from and to the hotel. Breakfast. Day at leisure to go shopping or other optional activities. We can offer a guide to go shopping with you, if so required. Afternoon at leisure. Dinner at the Italian restaurant Carletto. Breakfast. End of our services. Day trip to a traditional estancia in San Antonio de Areco to see typical country activities. Asado (grilled meat) for lunch. On the way there or back, visiting the town of San Antonio de Areco, where there are craftsmen specialised in silver ornaments. Rates include: Reception in the International Airport and transfer to hotel, 5-night acommodation in the Hilton Hotel at Puerto Madero, breakfast and taxes included; two guided City Tours, Tango Lessons; Tango-show with dinner and dinner in a famous Steak House. Rates do not include: International airfares and taxes related; personal insurance; meals not included in the package; hard drinks and other beverages not mentioned in the package; optional activities; personal expenses and gratuities.